Herein arrived in Carbon County in 1899 as a twenty-year-old immigrant from Norway and married a local Norwegian immigrant sheep farmer within the year. Translated years after her 1943 death, her scattered, terse daybook documents the birth and growth of five children and a lonely, despairing life. This context makes her descriptions of Red Lodge’s St. Olaf Lutheran Church women’s group—“delightful” and “enjoyable”—that much more telling. Herein yearned for the companionship and support of women who understood how hard it was to immigrate to a foreign, male-dominated western landscape. She found that companionship and support within the Women’s Meeting. Herein’s Women’s Meeting was one of hundreds of late-nineteenth- and early-twentieth-century Montana women’s groups. Montana women gathered whenever they could under a wide range of banners: to pursue education, art, community improvement, children’s activities, homemaking, health, their families’ occupational interests, and church growth and stability. Typically, these women’s groups supported the status quo, celebrating their members’ primary roles as mothers, wives, and daughters; yet for the women themselves, they were lifelines leading out of their homes and into a larger world. The state’s ethnic women’s organizations played the additional roles of providing companionship in a strange new land, preserving and adapting ethnic traditions, and helping women become engaged citizens in their adopted home. Such groups formed wherever substantial ethnic communities grew. Most ethnically based churches—like St. Olaf’s in Red Lodge—had their women’s group, altar guild, or aid society. In Butte and Anaconda’s dense ethnic neighborhoods, Irish women could find companionship in the Daughters of Erin; German women in the Sisters of the Sons of Hermann; Scotch women in the Daughters of Scotia; women from Lebanon in the Lebanese Peace Society; Croatian and Slovenian women in the St. Anne’s Society; and British women in the Daughters of St. George. No matter the project at hand, ethnic groups first provided women friendship and the opportunity to commiserate, in their first language, about the difficulties of immigration, childrearing, illness, and isolation. “Female troubles,” for instance, could be talked over more comfortably among immigrant peers than with an English-speaking male doctor. Although male ethnic groups often supported geopolitical causes reflecting conflict in their homeland—Irish independence, for example—immigrant women pursued fewer such issues, choosing to look ahead and build their new lives rather than dwell on old-country issues. 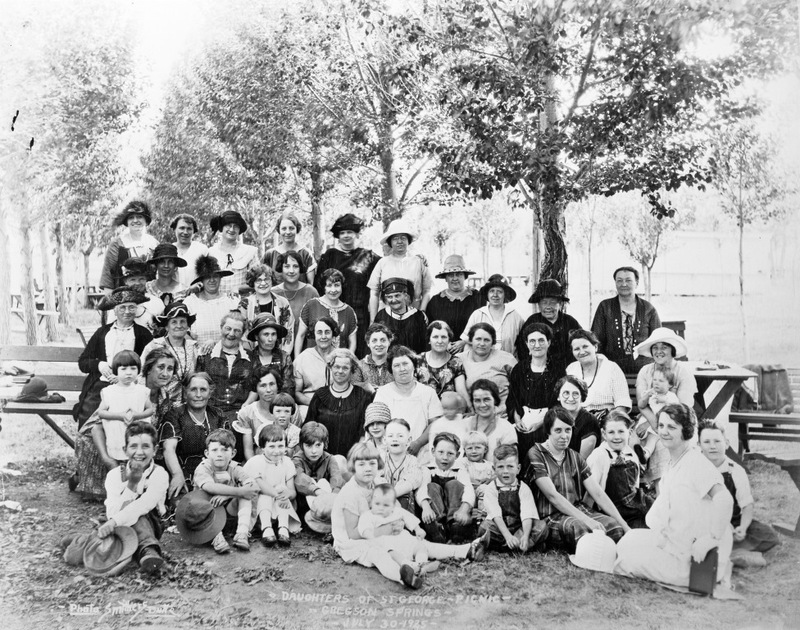 Emblematically, “Becoming better citizens of our adopted country” was a stated aspiration of Solheim Lodge #20, organized by the Butte Daughters of Norway in 1913. Ethnic women’s groups tackled projects that touched their hearts, responded to the reality of their husbands’ dangerous work, and improved their new lives and communities. Their activities focused on caring for widows, orphans, and sick children; raising money for funeral payments and rituals; sponsoring other immigrants; and almost always supporting their churches. Thus, female ethnic groups sponsored plays, bake sales, raffles, card parties, fairs, and dances to support the construction and maintenance of church buildings, social halls, and parochial schools and to raise funds for minister’s salaries and children’s groups. For example, in 1888, Anaconda’s Catholic women—largely Irish—served lunch and suppers four days in a row at the Catholic Church Fair to pay for church repairs, a new iron fence, and the priest’s residence. Many women’s group fund-raisers involved selling traditional foods and celebrating specific ethnic occasions, so that the events doubled as community-building rituals and reminders of home. 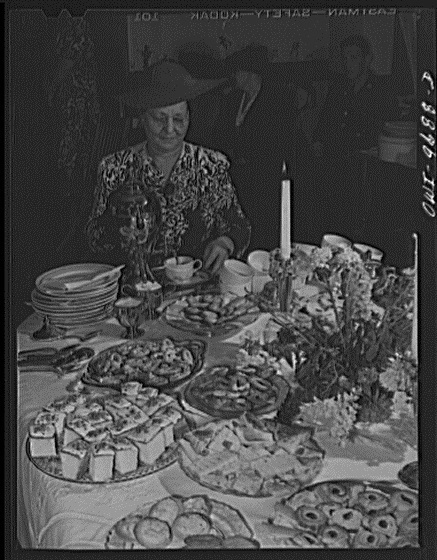 In Great Falls, the Greek women’s group, the Daughters of Penelope, held pastry fund-raisers while Anaconda’s Norwegian women hosted lutefisk suppers to support Our Savior’s Lutheran Church. 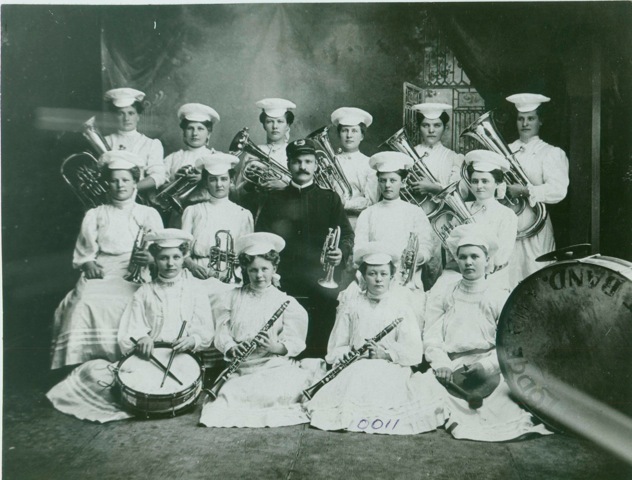 In Butte, the Kolo, or Serbian Circle, held “Old World Cuisine” dinners with a menu that included salata, lamb, klobase, sarma, cicvara, vegetables, povitica, baklava, priganica, and apple or cheese strudel. Ethnic women’s groups consistently served in the shadow of their male counterparts. Although the Butte Serbian women understood that that their sarma and povitica fund-raisers provided most of the funds to build a new Serbian Orthodox Church, church fathers did not always publicly recognize their fundamental role. Even so, ethnic women’s groups often supported their male counterpart organizations. Lebanese women remembered cooking and serving poker-playing men at the Lebanese Hall on Butte’s Galena Street. Butte-Silver Bow Public Archives, comp. Lebanese Family Stories [booklet]. Butte: Butte-Silver Bow Public Archives, 2014. “Celebrating 100: Daughters of Norway Solheim Lodge #20 Celebrates 100th Anniversary in Butte, Montana.” Norwegian American Weekly, April 5, 2013. Finnegan, Alice, ed. Goosetown in Their Own Words, 1900-1945: An Oral History of Anaconda’s Ethnic, Working-Class Neighborhood. Helena: Farcountry Press, 2012. Herein daybook, 1899-1943. Small Collection 2547. Montana Historical Society Research Center, Helena. Mallas, Georgia. Interview by Diane Sands, 1987. Oral History 1014. Montana Historical Society Research Center, Helena. Mercier, Laurie. “We Are Women Irish: Gender, Class, Religious, and Ethnic Identity in Anaconda, Montana.” Montana The Magazine of Western History 44, no. 1 (Winter 1994), 28-41. Ostberg, J. H. Sketches of Old Butte [booklet]. Butte: 1972. Regan, Ellen. 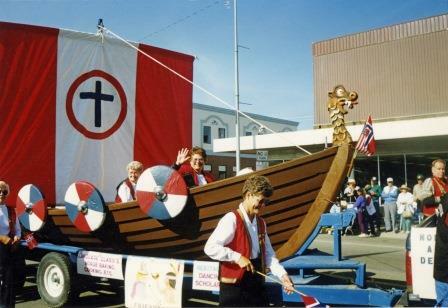 “The Scandinavians of Butte: A Short History,” 2002. Butte-Silver Bow Public Archives Files, Butte. Tubbs, Stephanie Ambrose. “Montana Women’s Clubs at the Turn of the Century.” Montana The Magazine of Western History 38, no. 1 (Winter 1988), 26-35.